February 25, (not 27) 1861, Kraljevica, Yugoslavia, 23:15, LMT. (Source Sabian Symbols, adjusted by Marc Penfield) Died, March 30, 1925, Dornach, Switzerland. (Ascendant, Scorpio; MC, Leo with Jupiter conjunct MC from H19; Sun in Pisces with Mercury and Neptune also in Pisces conjuncted; Moon and Saturn in Virgo; Venus in Aquarius; Mars conjunct Pluto in Taurus; Uranus in Gemini) The usual date of birth is given as February 27th, but in Rudolph Steiner by Gerhard Wehr, 1983, Friberg states that the birth chart is for the 25th, stating that Steiner was baptized on the 27th. To delight in art that is materialistic increases the difficulties of the Kamaloca state, whereas delight in spiritual art lightens them. Every noble, spiritual delight shortens the time in Kamaloca. Already during earthly life we must break ourselves of pleasures and desires which can be satisfied only by the physical instrument. "Anthroposophy is a path of knowledge, to guide the spiritual in the human being to the spiritual in the universe... Anthroposophists are those who experience, as an essential need of life, certain questions on the nature of the human being and the universe, just as one experiences hunger and thirst." 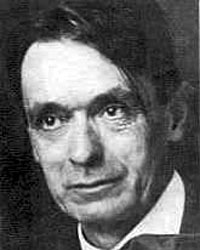 Rudolf Steiner (1864-1925) was an Austrian philosopher, scientist and humanitarian who has profoundly influenced western culture. He worked with scientists, artists, doctors, ministers of religion, teachers and industrialists to help transform our civilisation. His work is best known through Steiner Education, Biodynamic Agriculture, Anthroposophical Medicine and Architecture. His scientific investigations of the spiritual world led to the development of Anthroposophy, the wisdom of man. His background in history and civilisations coupled with his observations of life gave the world the gift of Waldorf Education. It is a deeply insightful application of learning based on the study of humanity that helps to develop the consciousness of self and the surrounding world. Steiner’s perception that although external conditions in our time are changing as never before, the essential nature of humanity remains unchanged; in particular, the stages of human development through childhood follow a natural pattern unaffected by short-term social change. The task of educators remains to prepare children for an unpredictable future by nurturing healthy development ‘from the inside’, to provide the right nourishment at each stage of physical, emotional and spiritual growth. This kind of education had its origin in the first school established by Rudolf Steiner for the children of workers at the Waldorf cigarette factory in Stuttgart in 1919. He developed a flexible curriculum that has evolved with time and has been adapted to local conditions in the various countries where Steiner schools are found. 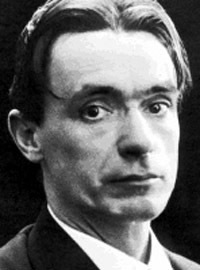 Rudolf Steiner (February 27, 1861, Murakirály, Hungary [today Donji Kraljevec, Croatia] – March 30, 1925) was an Austrian philosopher, literary scholar, architect, playwright, educator, and social thinker, who is best known as the founder of Anthroposophy and its practical applications, including Waldorf School, Biodynamic agriculture, the Camphill Movement, and the Christian Community. Steiner characterized history as essentially shaped by changes formed through a progressive development of human consciousness. The activity of individualised human thinking was seen as a relatively recent advance which led to the dramatic developments of the Renaissance and the Industrial Revolution. In his epistemological works, he advocated the Goethean view that thinking itself is a perceptive instrument for ideas, just as the eye is a perceptive instrument for light. Steiner's father was a huntsman in the service of Count Hoyos in Geras, and later became a telegraph operator and stationmaster on the Southern Austrian Railway. When Rudolf was born, his father was stationed in Murakirály in the Muraköz region, then part of Hungary (present-day Donji Kraljevec, Medimurje region, northernmost Croatia). When he was two years old, the family moved into Burgenland, Austria, in the foothills of the eastern Alps. 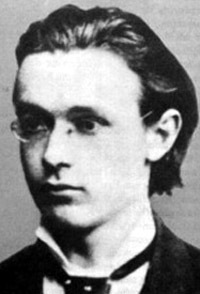 Steiner displayed a keen and early interest in mathematics and philosophy. From 1879-1883 he attended the Technische Hochschule (Technical University) in Vienna, where he concentrated on mathematics, physics, and chemistry. In 1891, with his thesis Truth and Knowledge, he earned a doctorate in philosophy at the University of Rostock in Germany. In 1888, Steiner was invited by Grand Duchess Sophie of Saxony to edit the complete edition of Goethe's scientific works in Weimar, where he worked until 1896. During this time he also collaborated in a complete edition of Arthur Schopenhauer's work. He wrote his seminal philosophical work, Die Philosophie der Freiheit (The Philosophy of Freedom) in 1894. It advocated the possibility that humans can become spiritually free beings through the conscious activity of thinking (see section on 'Philosophical Debate'). 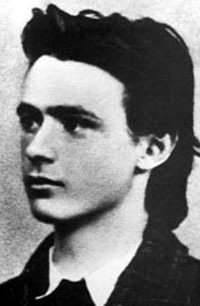 In 1896, Friedrich Nietzsche's sister, Forster-Nietzsche, asked Steiner to set the Nietzsche archive in Naumburg in order. Her brother by that time was no longer compos mentis. Forster-Nietzsche introduced Steiner into the presence of the catatonic philosopher and Steiner, deeply moved, subsequently wrote the book Friedrich Nietzsche, Fighter for Freedom. This book may be of interest, but arguably is not in the category of Steiner's most important works. Students of philosophy in particular are likely to find much more substantial grist if they start with Steiner's Philosophy of Freedom and his doctoral thesis, Truth and Science (Wahrheit und Wissenschaft). See also the list of (mostly non-philosophy) works in the 'Selected Bibliography' at the bottom. In 1897, Steiner moved to Berlin to edit the Magazin für Literatur. A turning-point came when, in the August 28, 1899 issue of this magazine, he published an article entitled "Goethe's Secret Revelation" on the esoteric nature of Goethe's fairy tale, The Green Snake and the Beautiful Lily. This article led to an invitation by the Count and Countess Brockdorff to speak to a gathering of Theosophists on the subject of Nietzsche. Steiner continued speaking regularly to the members of the Theosophical Society, eventually becoming the head of its German Section. Beginning around this time (ca. 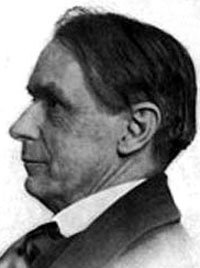 1900), till his death in 1925, Steiner articulated an ongoing stream of "experiences of the spiritual world" -- experiences he said had touched him from an early age on. Steiner sought to apply all his training in mathematics, science and philosophy in order to produce rigorous, intersubjectively testable presentations of those experiences. He also sought to bring a consciousness of spiritual life and non-physical beings into many practical domains - medicine, education, science, architecture, special education, social reform, agriculture, drama, etc. Steiner held that non-physical beings were in everything, and that through freely chosen ethical disciplines and meditative training, anyone could develop the ability to experience such beings, and thus be strengthened for creative and loving work in the world. Steiner sought to be phenomenological (experience-based, rejecting immobile abstractions and assumptions). Like Edmund Husserl and Jose Ortega y Gasset, but preceding them, Steiner was intimately familiar with the philosophical work of Franz Brentano and Wilhelm Dilthey, both of whom were central precursors of the phemonenological movement in European philosophy. Steiner was also deeply influenced by Goethe's phenomenological approach to science. Unlike the Theosophists, Steiner encouraged the development of artistic efforts within the Society — and this was poorly received. Steiner also strongly objected when the leaders of the Theosophical Society declared that Krishnamurti was the reincarnation of Christ (Krishnamurti himself later repudiated the attempt to make him into a reincarnated messiah, shocking the other Theosophical leaders). Steiner quickly denied Krishnamurti was Christ, and held that Christ's earthly incarnation was a unique event. Steiner held that what trained spiritual vision could discover about most of the rest of humanity -- namely that the human being goes through a series of repeated earth lives -- did not apply to Christ. These and other conflicts eventually led Steiner and most of the German branch of theosophists to separate from the main body of Theosophists, and form the Anthroposophical Society, which was founded in 1912. The society remained active, and after years of extensive touring and lecturing, the organization needed a home for their activities. In 1913, Steiner was employed as architect for the first Goetheanum building in Dornach, Switzerland. It was built entirely by the work of volunteers who offered their skills of craftsmanship and trade. Once World War I started in 1914, the Goetheanum volunteers could hear the sound of cannon fire beyond the Swiss border, but despite the war, people from all over Europe worked peaceably side by side on the building's construction. By 1919, the first run of Goethe's Faust had been produced there — the same year as the founding of the first Waldorf school in Stuttgart. The Goetheanum developed as a cultural centre which included activities in mathematics, medicine, Biodynamic agriculture, and schools of art. It was within the Society that Steiner met his wife Marie von Sievers, with whom he developed a new artform known as Eurythmy (aka 'visible speech'). On New Year's Eve, 1922, the first Goetheanum building was burned down by arsonists. Unwavered, work was begun on a second Goetheanum building — still under construction when he died in 1925. During the Christmas conference in 1923, he founded the School of Spiritual Science, which is also known as the Goetheanum or by some the spiritual Goetheanum. The distinction makes clear that the first Goetheanum was a building, a 'physical' architecture embodying the spirit (hence it was known as the house of the word, while the second Goetheanum consists of the spiritual architecture of those human beings active in it (members of the above school). The School has become increasingly active since Steiner's day, and is structured like a university. As such, it has three classes (years) and various sections (faculties). Within the society, it is seen as a centre of activity in education, agriculture, art, natural science, medicine, and economics. In 1919 Emil Molte, on behalf of workers of the Waldorf-Astoria cigarette factory in Stuttgart, invited him to lecture on the topic of education. This, and subsequent lectures, formed the basis for the Waldorf Education movement (known in some countries as Steiner Education) — including, perhaps, the largest independent schooling system in the world. As of 2004, there are some 870 schools worldwide, including about 170 in the United States, Canada, and Mexico. Somewhat independently of the Waldorf schools, a separate school for Spiritual Science was founded at the Goetheanum during Christmas 1923. Within the Anthroposophical society, it is seen as a centre of research in education, agriculture, art, natural science, medicine, and economics. This school has become increasingly active since Steiner's day. For a period after World War I, Steiner was extremely active and well-known in Germany in part because in many places he gave lectures on social questions. A petition expressing his basic social ideas (signed by Herman Hesse, among others) was very widely circulated. His main book on social questions, Die Kernpunkte der Sozialen Frage (available in English today as Toward Social Renewal) sold tens of thousands of copies. Today around the world there are a number of innovative banks, companies, charitable institutions, and schools for developing new cooperative forms of business, all working partly out of Steiner’s social ideas. One example is The Rudolf Steiner Foundation, incorporated in 1984, and as of 2004 with estmated assets of $70 million. RSF provides "charitable innovative financial services". According to the independent organizations Co-op America and the Social Investment Forum Foundation, RSF is "one of the top 10 best organizations exemplifying the building of economic opportunity and hope for individuals through community investing." In Steiner's various writings and lectures he held that there were three main spheres of power comprising human society: the cultural, the economic and the political. In ancient times, those who had political power were also generally those with the greatest cultural/religious power and the greatest economic power. Culture, State and Economy were fused (for example in ancient Egypt). With the emergence of classical Greece and Rome, the three spheres began to become more autonomous. This autonomy went on increasing over the centuries, and with the slow rise of egalitarianism and individualism, the failure adequately to separate economics, politics and culture was felt increasingly as a source of injustice. Examples: The fact that churches, temples and mosques do not make the ability to enter and participate dependent on the ability to pay, and that libraries and museums are open to all free of charge, is in tune with Steiner’s notion of a separation between cultural and economic life. In a similar spirit, Steiner held that all families, not just rich ones, should have freedom of choice in education and access to independent, non-government schools for their children. Other examples: A corporation should not be able to control the cultural sphere by using economic power to bribe schools into accepting ‘educational’ programs larded with advertising, or by secretly paying scientists to produce research results favorable to the business’s economic interests. Examples: A rich man should be prevented from buying politicians and laws. A politician shouldn’t be able to parlay his political position into riches earned by doing favors for businessmen. Slavery is unjust, because it takes something political, a person’s inalienable rights, and absorbs them into the economic process of buying and selling. Steiner also advocated more cooperatively organized forms of capitalism (what might today be called stakeholder capitalism) precisely because conventional shareholder capitalism tends to absorb the State and human rights into the economic process and transform them into mere commodities. Steiner’s view of education’s social position calls for special comment. For Steiner, separation of the cultural sphere from the political and economic spheres meant education should be available to all children regardless of the ability of families to pay for it and, on the elementary and secondary level, should be provided for by private and|or state scholarships that a family could direct to the school of its choice. Steiner was a supporter of educational freedom, but was flexible, and understood that a few legal restrictions on schools (such as health and safety laws), provided they were kept to an absolute minimum, would be necessary and justified. Steiner held that the French Revolution’s slogan, “Liberty, Equality, Fraternity,” expressed in an unconscious way the distinct needs of the three social spheres at the present time: liberty in cultural life, equality in a democratic political life, and (uncoerced) fraternity/sorority in economic life. According to Steiner, these values, each one applied to its proper social realm, would tend to keep the cultural, economic and political realms from merging unjustly, and allow these realms and their respective values to check, balance and correct one another. The result would be a society-wide separation of powers. Steiner argued that increased autonomy for the three spheres would not eliminate their mutual influence, but would cause that influence to be exerted in a more healthy and legitimate manner, because the increased separation would prevent any one of the three spheres from dominating. In the past, according to Steiner, lack of autonomy had tended to make each sphere merge in a servile or domineering way with the others. For Steiner, threefolding was not a social recipe or blueprint. It could not be "implemented" like some utopian program in a day, a decade, or even a century. It was a complex open process that began thousands of years ago and that he thought was likely to continue for thousands more. Apart from his central book on social questions, Toward Social Renewal, there are at least two others available in English: World Economy (14 lectures from 1922) and The Social Future (revised edition 1972). The first Goetheanum was burned down by arsonists on New Year's eve 1922. Several surrounding buildings he designed survived the blaze (the Glasshaus, Haus Duldeck, the Transformerhaus, etc.). Construction of the second Goetheanum building began on the same site shortly before he died in 1925. He conceived it as an organic extension and metamorphosis of the first building, inspiring and pre-dating architects such as Le Corbusier, and Eero Saarinen's Kennedy Airport (1962). Within the Society, Steiner met his wife Marie von Sievers, with whom he developed a new artform (that also has therapeutic uses) known as Eurythmy (German: "Eurythmie")— sometimes referred to as "visible speech and visible song". It is interesting to note, however, that the "designs" for Eurythmy were never fully completed. Whereas now Eurythmists only use their arms to create diffrent "sounds" (with the lower half of the body used for walking the rhythm) Steiner wanted the legs to create "sounds" too- unfortunately he died before he could introduce the idea. Eurythmy performances are still held at the Goetheanum in Dornach, and at various theatres throughout the world. There are now a number of Eurythmy schools where a full four-year training is given. As Playwright, he wrote four "Mystery Dramas" between 1909 and 1913, including "The Portal of Initiation" and "The Soul's Awakening". They are still performed today. As a sculptor, his primary work was The Representative of Humanity (1922). This enormous work carved in wood is still on display at the Goetheanum in Dornach. A philosophic basis rooted in a practical sensibility yielded continuations to his work. In 1921,pharmacists and physicians gathered under Steiner's guidance to create a pharmaceutical company called Weleda, which now distributes natural medical products worldwide. In 1924, a series of lectures to a group of farmers concerned about the destructive trend of "scientific farming" originated the practice of biodynamic agriculture, which is now practiced throughout much of Europe, North America, and Australasia. Biodynamic farming is not merely organic -- in addition it works with the movement patterns of the stars and the moon, and with the non-physical beings in nature, and seeks to do testable research on how agriculture can produce the best quality food. In 1939, based on a series of lectures Steiner gave in the 1920s on special education, physician Karl Konig founded the Camphill Movement in Scotland as a place to provide treatment for children with severe learning disabilities. There are currently more than a dozen Camphill Villages and eight Colleges providing a home for more than 1000 residents. According to Steiner, a real spiritual world exists out of which the material one gradually condensed, so to speak, and evolved. The spiritual world, Steiner held, can in the right circumstances be researched through direct experience, by persons practicing rigorous forms of ethical and cognitive self-discipline. Steiner described many exercises he said were suited to strengthening such self-discipline so that a practicioner's consciousness could enter the 'spiritual world'. Details about the spiritual world, he said, could on such a basis be discovered and reported, not infallibly, but with approximate accuracy. Yet Steiner was periodically at pains to discourage taking his spiritual research reports as either accurate or inaccurate 'information' -- an interpretation he considered relatively superficial. Steiner preferred for readers to enter into the process of his thinking and not cling too rigidly to the fixed results, i.e. the thoughts that crystallized out of that process. He often said there was a hidden life in thinking and advised people to attend more to the spirit or 'drift' of his words than to the letter. Otherwise readers would fall into an excessive literalism and turn his work into a doctrine, a result he said he wanted to avoid. Those of Steiner's students alert to this distinction (e.g. 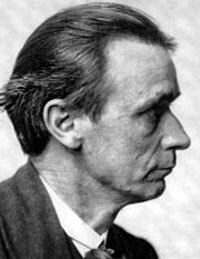 Georg Khulewind, author of From Normal to Healthy) are wont to affirm Steiner’s claim that remaining actively within the process, as opposed to the results of Steiner's thinking, can have the effect of awakening one gradually into forms of superconscious spiritual awareness. Steiner claims to offer a gradual experiential path from ordinary conceptual thinking into forms of thinking perceptive of living spiritual beings and mobile realities in the spiritual world. Perhaps because the spiritual path Steiner offers claims to be based, in many respects, on the gradual transformation of thinking into a wholly new activity of the whole person -- an activity of thought, feeling and will seamlessly integrated into a form of spiritual awareness that eventually leaves the body and peregrinates through spiritual worlds -- Steiner's teaching has attracted a number of trained scientists, physicians, and scholars in various fields. Steiner also occasionally averred that this consciousness of the spirit was not so much related to the content of his statements, where he tells readers the characteristics of this or that spiritual being (or something similar) that he says he has perceived. It was not so much such content that was effective, he said, but rather something a bit deeper, within the content, that he indicated would lead one to begin to enter higher states of awareness and 'hear' or 'see' spiritual beings as one thought through his 'research reports'. The mere content was so to speak thrown up to the surface of Steiner's thinking by the style, or more precisely, by the movement and metamorphic-metaphoric process of his thinking, and it was this underlying formative process (or portions of it in some of his lectures and books), he said, that could gradually lead to a sort of superconsciousness awareness of living in spiritual worlds at least as real and persuasive as the physical world. Whereas mere content could be memorized like recipes, and then parroted mindlessly, formative process could only be experienced if one actively recreated it from within. Some of Steiner's more philosophically inclined students argue that an obstacle to 'getting' Steiner, in the just mentioned sense, is that reading for people today is rarely a process where the dynamic birth of the conceptual out of a pre-conceptual background is felt and recreated as we read each word. When reading is creative today, that creativity tends to be confined within conceptual life, and only rarely extends to the threshold between conceptual and pre-conceptual life, the threshold where not just this or that concept, but conceptuality itself, can be experienced in the process of its creative origination, and seen at its core as fundamentally an imaginative birthing activity. Lacking awareness of this particular threshold, we also lack consciousness of the elastic poetic dynamism at the very basis not only of our most 'literal' ideas and scientific terminologies, but at the basis of the world process itself. Again, some philosophical students of Steiner claim that one way of remaining within the process (as opposed to the results) of Steiner's thinking, would be to gradually learn through his works how to live consciously at the threshold where conceptuality comes into being. There one would supposedly no longer be confined to observing things that already are -- one would begin to see realities emerging into being, and that would mean seeing to some extent into 'non-being' itself, and discovering there more than mere nothingness: a hidden life of creative non-material beings and processes in a non-material world. Though the emphasis anthroposophists place on individual freedom and thought limits the tendency toward group-think and prevents anthroposophy from turning into a cult - if a cult is something that deprives its members of spiritual and intellectual freedom - a critical approach to the works of Steiner is not as common as some would like and not always welcomed within some Anthroposophic circles. Given Steiner's clear statements about political democracy being the proper kind of State for humanity, his consistent and emphatic support for liberty and pluralism in education, religion, scientific opinion, the arts, and in the press, not to mention his rejection of the idea that the State should take over economic life - one cannot justly link Steiner or his movement with a totalitarian intent. There are scientists acquainted with the topics Steiner touched-upon who regard him as substandard and unprofessional in his methods, and therefore completely disregard his works. However, a number of trained physicists, biologists, medical doctors, architects, philosophers, and other scholars claim to find creative genius in Steiner's comments on detailed aspects of each of their fields. Research centers staffed by trained professionals in various fields of study do research along lines suggested or inspired by Steiner's ideas. Some of the better known scientists and scholars who have been deeply influenced by Steiner are listed two paragraphs down. 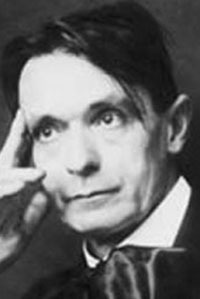 Access to Steiner's original manuscripts is controlled by Rudolf Steiner Nachlassverwaltung. Most of the some 350 volumes of works by Steiner are based on third-party stenographic reports of his lectures. Often more than one stenographer was present taking down a lecture, so the reliability of these reports and their accuracy is frequently good or excellent, but certainly not perfect. There are some scientists and intellectuals who admire Steiner's efforts to transform ordinary thinking gradually into a higher thinking that is at the same time a perceiving of the spiritual world. Examples of books and authors profoundly influenced by Steiner: physicist Henri Bortoft's The Wholeness of Nature, physicist Arthur Zajonc's Catching the Light, physicist Georg Unger's Forming Concepts in Physics, physicist Stephen Edelglass' The Marriage of Sense and Thought, biologist Craig Holdrege's Genetics and the Manipulation of Life, theoretical chemist Jos Verhulst's Developmental Dynamics in Humans and Other Primates, theoretical chemist Georg Khulewind's From Normal to Healthy, biologist Wolfgang Schad's Man and Mammals: Toward a Biology of Form, medical doctor Robert Zieve's Healthy Medicine, medical doctor Victor Bott's Introduction to Anthroposophical Medicine, philosopher Owen Barfield's World's Apart, philosopher Richard Tarnas' Passion of the Western Mind, cultural critic Theodore Roszak's Unfinished Animal. See also computer scientist Joseph Weizenbaum's comments on Steiner, or those of Albert Schweitzer. Andrei Belyi, the great Russian symbolist writer, was also profoundly influenced by Steiner and wrote essays about him. Franz Kafka gave what, from his own particular literary perspective, was perhaps the highest compliment, in his diaries calling Steiner's mystery plays 'incomprehensible' (or something similar). See also the collection of scientific articles edited by physicist Arthur Zajonc and architect David Seamon, Goethe's Way of Science, A Phenomenology of Nature. Nevertheless, Steiner remains unknown by many and rejected by others. The high regard in which Steiner is held within the Anthroposopical movement, which sees his teaching as foundational, has prompted some critics to see Steiner as a founder of a religion, not as a philosopher in the usual sense of the word. 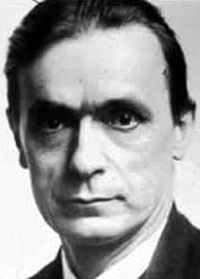 The idea, if there is a degree of truth to it, evolves from overzealous students, not from Rudolf Steiner. Steiner frequently asked his students to test everything he said, and not to take his statements on authority or faith. He also said that if it had been practicable, he would have changed the name of his teachings every day, to keep people from hanging on to the literal meaning of those teachings, and to stay true to their character as something intended to be alive and metamorphic. Nor was Steiner shy about saying that his works would gradually become obsolete, and that each generation should rewrite them. Individual freedom and spiritual independence are among the values Steiner most emphasized in his books and lectures. Occasionally Steiner is criticized for his advice to delay reading until students reach the age 6 or 7. Still, a government commission in Germany conducted a study in the 1990s and found that German Waldorf school (Steiner school) graduates scored significantly higher than German public school graduates on the Abitur, a high school graduate exam widely administered in Germany. The significance of this finding is questionable, because not all Waldorf students are admitted to prepare for the Abitur. On the other hand many Waldorf Schools have a lack in teaching staff, this results in most Waldorf students not having the possibility to select the subjects they want to be tested on for the Abitur, like it is still being done in public schools of some federal provinces. But in the wake of the centralized Abitur this practice will eventually diminish in the next few years. Some critics say the Waldorf schools' emphasis on imagination and creativity can sometimes lead to child-led class sessions without focus or direction. To the contrary, Waldorf educators report that it is a highly structured, disciplined educational model. The emphasis on arts and creativity complements a challenging curricula. The claim he made in this book to have disproved transcendental idealism, the philosophy of Immanuel Kant—he had read the whole of Kant's Critique of Pure Reason by the age of 14—has been rejected by some philosophers, accepted by others, and remains unknown to many. ...at almost precisely the same time that the Enlightenment reached its philosophical climax in Kant, a radically different epistemological perspective began to emerge—first visible in Goethe...developed in new directions by Schiller, Schelling, Hegel, Coleridge, and Emerson, and articulated within the past century by Rudolf Steiner. Each of these thinkers gave his own distinct emphasis to the developing perspective, but common to all was a fundamental conviction that the relation of the human mind to the world was ultimately not dualistic but participatory...In essence this alternative conception did not oppose the Kantian epistemology but rather went beyond it, subsuming it in a larger and subtler understanding of human knowledge. The new conception fully acknowledged the validity of Kant's critical insight, that all human knowledge of the world is in some sense determined by subjective principles; but instead of considering these principles as belonging ultimately to the separate human subject, and therefore not grounded in the world independent of human cognition, this participatory conception held that these subjective principles are in fact an expression of the world's own being, and that the human mind is ultimately the organ of the world's own process of self-revelation. In this view, the essential reality of nature is not separate, self-contained, and complete in itself, so that the human mind can examine it 'objectively' and register it from without. Rather, nature's unfolding truth emerges only with the active participation of the human mind. Nature's reality is not merely phenomenal, nor is it independent and objective; rather, it is something that comes into being through the very act of human cognition. Nature becomes intelligible to itself through the human mind. - Richard Tarnas, p.433-434, 1991. On the basis of this epistemology, Steiner attempted to develop a qualitative science to complement the quantitative science of Newton, Galileo and Einstein. Steiner claimed that if one practiced various systematic forms of inner discipline, it would be possible to create an increasingly objective, testable knowledge of a noumenal or spiritual world. While small groups of scientists find brilliant originality in Steiner's scientific work and seek to carry it forward (see, for example, The Wholeness of Nature by physicist Henri Bortoft), the majority of scientists have never heard of Steiner, and of the minority who have, most probably take his work to be unscientific. Scientists developing Steiner's work argue that it sometimes doesn't receive a fair hearing because of prejudice against even the possibility of a qualitative science of non-physical worlds. 1861 Birth on Feb. 2 in Donji Kraljevec (Lower Kralevec), Medjimurje region, Croatia, between Hungary and Slovenia, son of a railroad employee. Parents came from Austria. Childhood and youth in various Austrian towns. 1872-1879 Junior and Senior high school in Wiener-Neustadt (close to Vienna). 1875-1889 Worked as a private teacher, many times to his own classmates, specially in Math and sciences. 1879-1883 Undergraduate studies at the Vienna Institute of Technology (Wiener Technische Hoschschule). Deep studies of Goethe. 1882-1897 Editor of Goethe's scientific works for the J.Kürschner's "Deutsche National Literatur" edition (the 5 volumes are in GA 1a-e). 1884-1890 Private teacher/tutor of 4 children of a Vienna family, mainly of one who was hydrocephalic and unable to learn. Succeeds in helping him to finish school, and enter the Faculty of Medicine; he died during the 1st. World War. 1886 Worked in the "Duchess Sophia" complete edition of Goethe's writings. 1888 Editor of the "Weekly German Magazine" (Deutsche Wochenschrift) (GA 31). 1890-1897 Worked at the Schiller-Goethe Archives in Weimar. Edition of Goethe's scientific writings. 1891 Doctorate in Philosophy at the University of Rostock, Germany. Publication of the dissertation (GA 3). !894 Meeting with Haeckel; beginning of correspondence with him (in GA 38). 1897 Moved to Berlin, where he was the editor (up to 1900) of the "Literature Magazine" (Magazin für Literatur) (GA 31), where he decisively manifests himself against antisemitism, and of the "Drama Journal" (Dramaturgische Blätter) with O.E.Hartleben. Activities at the "Free Drama Society" (Freien dramatischen Gesellschaft), at the Giordano Bruno League, and others. 1899-1904 Instructor at the Berlin "Workers' School of Education" (Arbeiter-Bildungsschule). 1900 Beginning of activities as a lecturer on various Anthroposophic themes under the invitation of the Berlin Theosophic Society, transmitting only the results of his own original esoteric research. 1902 Nominated the General Secretary of the German Theosophic Society. In the same day, gives a lecture with title "Anthroposophy". 1902-1912 Intensive activity as a lecturer in Berlin and in whole Europe. Marie von Sievers becomes his constant cooperator. 1903 Foundation of the Luzifer journal, later Luzifer-Gnosis (GA 10-12, 34). 1905 First writings on the threefold social organization (in GA 34). 1906 Meeting with Edouard Schuré; Marie von Sievers had translated some of his works. 1907 Organizes the world conference of the Theosophic Society in Munich, where he introduces artistic activities for the first time. 1910-1913 Writes and directs the representation of his 4 Mystery Dramas, one each year, in Munich (GA 14). 1912 Introduction of the new arts Eurithmy (GA 277a) and Speech Formation (GA 281). 1913 Separation from the Theosophic Society and foundation of the Anthroposophical Society. 1913-1923 Construction of the first Goetheanum in Dornach, Switzerland, a true work of art in wood. 1914 Marriage with Marie von Sievers (from then on Marie Steiner). 1914-1924 In lectures in Dornach, Berlin and many cities all over Europe, gives indication for the renewal of many areas of human activity: art, education, sciences, social life, medicine, pharmacology, therapies, agriculture, architecture and theology. 1919 Intensive activities as a writer and lecturer on his ideas on social renewal, the Threefold Commonwealth (GA 23, 328-341) mainly in Southern Germany. On autumn, foundation of the Free Waldorf School (Freie Waldorfschule) in Stuttgart (GA 293-295), directed by him up to his death; this school exists up to now, at the Hausman street. 1920 First course for physicians (GA 312), beginning the application to what became Anthroposophic Medicine. 1921 Foundation of the "Das Goetheanum" weekly, with his regular contributions (GA 36, 260a); this journal continues to be edited. Foundation of the first Anthroposophic Clinic, in Arlesheim, next to Dornach, by Ita Wegman; this clinic continues its operation as the Ita Wegman Klinik (for a picture of it and a text with information in German, please click here).1922 Foundation of the religious renewal movement "The Christian Community", by clergymen under his orientation. In the evening of the year's end, the Goetheanum is criminally set afire. In the following day, he continues his lecture cycle in the nearby cabinetmaking workshop. 1923 Beginning of the design and gypsum modeling of the 2nd Goetheanum, to be built in 1925-28 after his death, now in reinforced concrete (for pictures of it, please click here). During the Christmas Conference, foundation of the new General Anthroposophical Society (Allgemeine Anthroposophische Gesellschaft). 1923-1925 Publishes every week in Das Goetheanum his autobiography (GA 28), which would remain unfinished (covers his life up to 1907). In cooperation with Dr. Ita Wegman, writes the book on Anthroposophic Medicine (GA 27). 1924 Course on agriculture in Koberwitz (GA 327), originating bio-dynamic farming. Course on Curative Education (GA 317), originating this field of application of Anthroposophy. After intensive activity of lectures and courses in the last months, and his last lecture on Sept. 9 to members of the Society, beginning of his fatal disease. 1925 Death in Dornach on March 30. His published work, including lecture cicles, comprises more than 350 titles.